Individual hub circuit board with ESD and Surge protection over each individual USB 3.1 port. 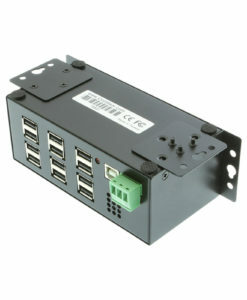 USB 3.1 Mini 4 Port component board can be installed by itself in equipmnt or in different configurations for use. 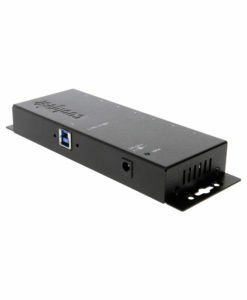 Compliant with USB 3.2 Gen1 with up to 5Gbps of data transfer speed. 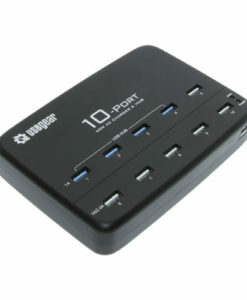 Compact USB 3.1 Hub Circuit Board with 4 Ports. USB 3.1 4 port USB hub component board with ESD and surge protection. 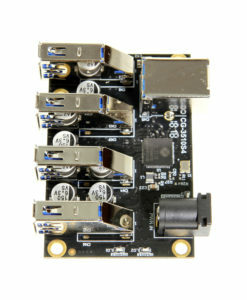 The Coolgear CG-3510S4-Board is a 5V DC input, generation 1 USB 3.1 hub circuit board for incorporating into equipment, assemblies, or a custom shells. It will support fast charging for Apple 1A/2.4A and Samsung Galaxy devices. 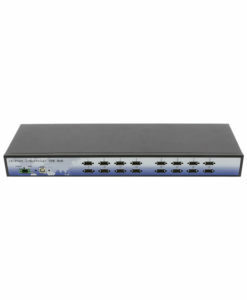 Each port is protected individually to help protect your peripheral investments. The USB 3.1 Hub component board uses a GL3510 chip. The GL3510 Hub controller chip features native fast-charging and complies with USB-IF battery charging specification rev1.2.